Height: males 20-24 in., females 20-23 in. Weight: 44-62 lbs., females 40-57 lbs. What is the origin of the Italian Hound? 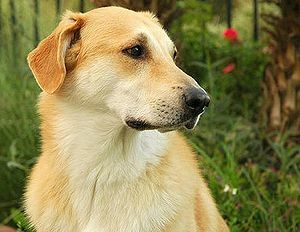 The Italian Hound as the name indicates comes from Italy. It is probably descended from Egyptian scenthounds. Renaissance paintings show images of this hound. 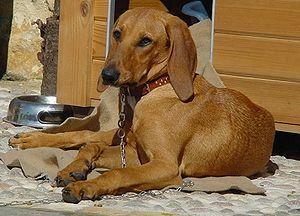 Several varieties were crossed to produce the Italian Hound of today. It is also known as the Segugio Italiano. What does the Italian Hound look like? The Italian Hound is a robust dog, males are 20-24 inches tall and weigh 44-62 lbs., females are 20-23 inches tall and weigh 40-57 lbs. The head is long with a large nose. Eyes are large, a yellowish-brown color. Ears are triangular with pointed tips and pendant. The tail is set high and carried like a saber. 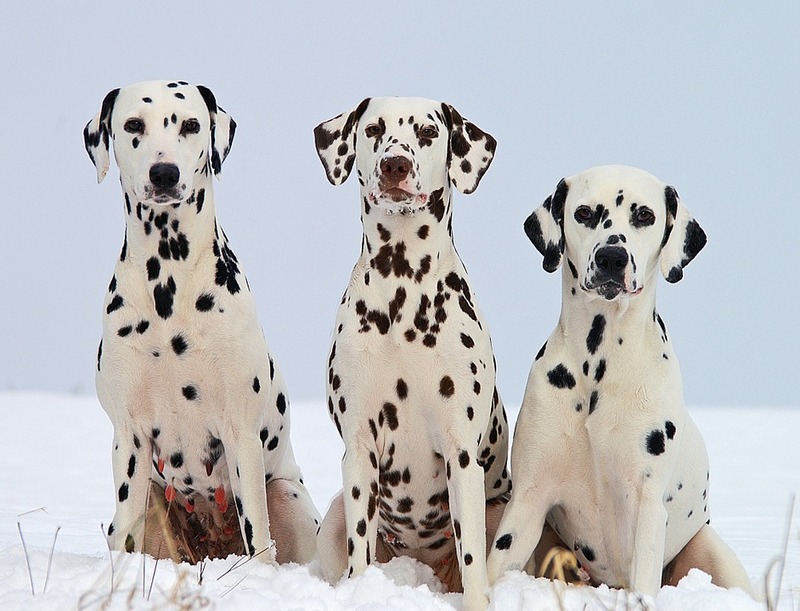 There are 2 varieties of coat, medium long and wiry or short and smooth. Colors are shades of fawn, sometimes with white markings on head, chest, feet and tail tip or black and tan. Regular brushing will keep the coat neat. What is the temperament of the Italian Hound? 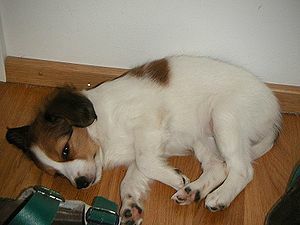 The Italian Hound is a lively dog with an even temperament. They should have firm but positive obedience training and socialization. They are gentle and affectionate with the family. Italian Hounds require daily vigorous exercise. Like all scenthounds, if let off-leash and they discover an interesting scent, they can be difficult to recall. What is the Italian Hound used for? The Italian Hound has an excellent sense of smell. It is a hunter in packs or alone, of hare, fox and boar and can adapt to even the most rugged terrain. The Italian Hound is also a loyal companion.